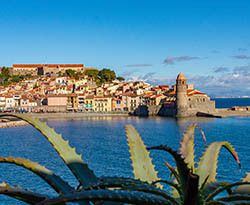 The best range of self-guided, comfortable walking short breaks on the Atlantic coast (camino routes, Guernica and Guggenheim), and the Mediterranean Pyrenees coast (the artists’ village of Collioure, Salvador Dali’s Lligat and Cadaques). 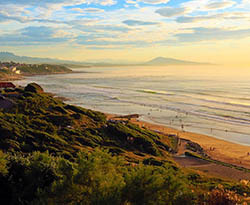 Authentic, high quality accommodation, exceptional cuisine, daily luggage transfers. We meet you at your arrival airport. 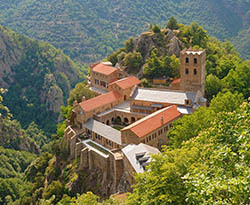 We will be adding more short breaks because flights and trains to the Pyrenees are often good value, and you can cram in a lot of enjoyable activities and experiences into just a few days. 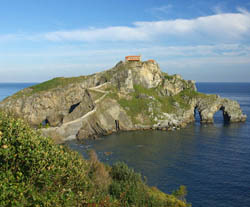 For the time being, we offer a favourite Mediterranean coastal walk (Quintessential Collioure To Cadaques), a very different but thoroughly rewarding Atlantic coastal walk (Culture And "Camino": Guernica, Guggenheim & Much More), a walk across the Pays Basque to the Atlantic (From The Basque Mountains To The Atlantic Ocean), and, last but far from least, a historical and cultural walk (The Art Of Walking: A Cultural Journey To The Mediterranean).